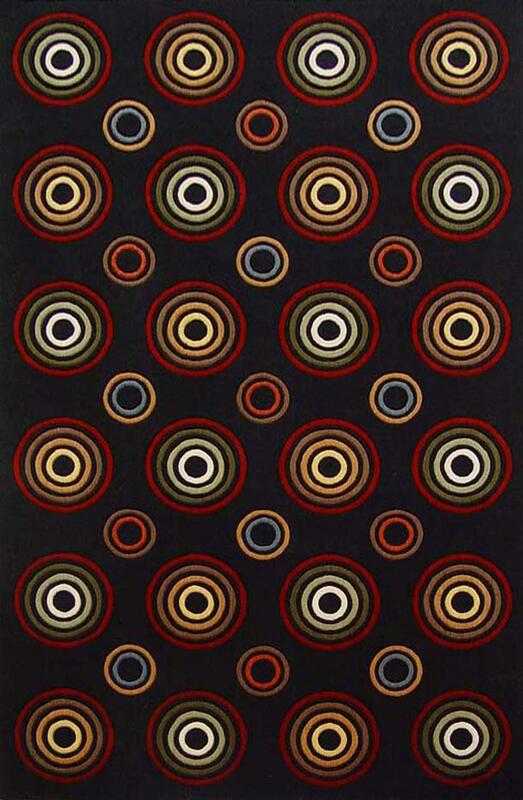 Black Concentric Circles 5' x 8' . Machine-Made of 100% New Zealand Wool with No Backing. Made in China. Vacuum regularly.